Preschool is much more than just art, dance, music and entertainment. It is mainly focused on how to develop and evolve young minds. The objective of preschool is to follow a comprehensive learning style which is not just applicable at a young age but will also hold good as the child grows up and tries to adapt to new surroundings. Our key strength in creating a bright future for the child lies in our philosophy, the curriculum we follow our talented teachers and the innovative learning style that we use . These are the four pillars on which Shreeman Vidyalaya stands. 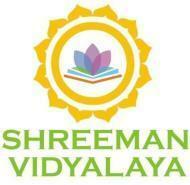 Shreeman Vidyalaya conducts classes in Etiquette Training for Children. It is located in Puducherry, Puducherry. It takes Regular Classes- at the Institute.